Illicit small arms and light weapons constitute a serious threat to safety in Africa, Einas Mohammed, Head of African Union (AU) Defence and Security Division, said this week. Mohammed made the remarks at the opening of a workshop on review and development of national strategic plan toward arms control at Gross Barmen. Small arms have long been considered as the primary tool and enabler of violence throughout the history of conflict in Africa, she said. 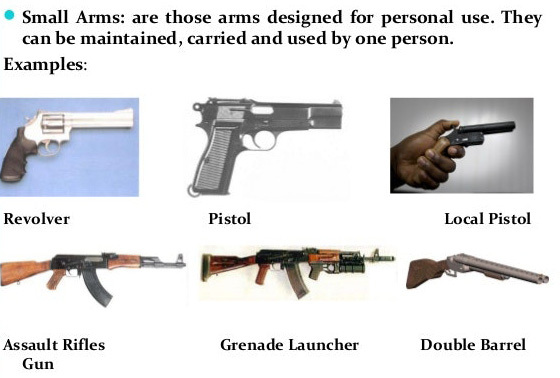 “However, the threat of small arms in not only limited to conflict situation. The widespread availability of arms has direct and adverse effect on human security and democratic governance,” she said. Mohammed also said that, overall, the continued circulation of small arms diverts limited government resources away from developmental programs and adversely impact the potential for investments. “Therefore, controlling the illicit proliferation, circulation and trafficking of small arms and light weapons is at the heart of the Africa Unions efforts to prevent conflicts, mitigate their adverse impact and consolidate peace,” she said. She added that more recently the AU assembly of heads of states adopted the AU master roadmap of practical steps to silence the gun in Africa by the year 2020 and the roadmap underlines that controlling the illicit proliferation of small arms requires particular focus and renewed efforts. The workshop, scheduled to be concluded on Friday, is also attended by high ranking law enforcement officers of the Southern African Development Community. – Xinhua.